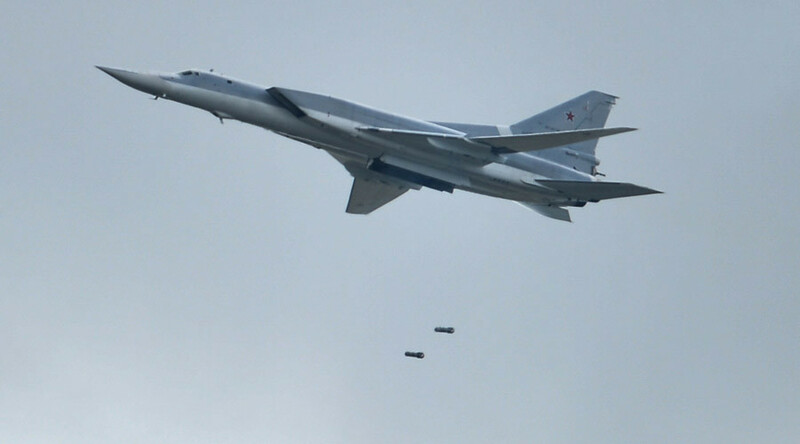 Six Russian Tu-22M3 long-range bombers have destroyed two terrorist command centers and compounds during anti-IS airstrikes near the ancient Syrian city of Palmyra, Russia’s Defense Ministry said. Early in the morning on Thursday, six Tu-22M3 long-range bombers took off from a Russian air base to conduct “a concentrated strike” on Islamic State (IS, formerly ISIS/ISIL) targets east of the Syrian city of Palmyra as well as outside the towns of As-Sukhnah, Arak and At-Taybah, the ministry’s statement said. “The militants’ command centers, manpower and combat vehicles have been targeted,” it also said. “According to imagery intelligence, the airstrike destroyed two command centers of terrorist groupings, [their] manpower and combat vehicles in shelter,” the Defense Ministry added. To rule out any potential risks, the bombers were covered by Su-35 fighter jets scrambled from Russia’s Syrian air base at Khmeimim. The US-led anti-IS coalition was notified of the airstrikes beforehand, the ministry said. Strategic Tu-22M3 bombers have occasionally flown from Russia to deliver airstrikes on terrorists in Syria, starting July 12. The Russian military declared the end of the active phase of the counter-terrorist operation in Syria in March, with a ceasefire coming into force. Although Russia has largely withdrawn the main part of its task force from Syria, it has maintained a significant military presence, in particular at the port of Tartus and Khmeimim air base.